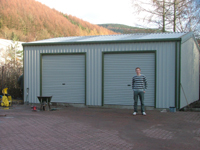 Pembs Steel Buildings business supplies, distributes and optionally erects steel buildings. 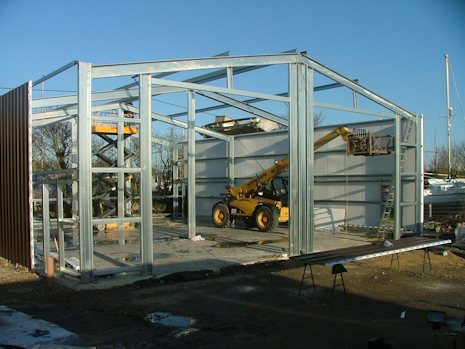 We have qualified build teams who can erect your build once it has been delivered to site. Lower erection costs and construction times - giving you strong, quality buildings at an affordable price. Our service can produce the building design, prepare the order for the materials to be delivered and include a build team to erect the build once delivered to site. We can project manage the build to include plant hire and take the build through to construction sign off, as per signed off build requirements. Our strengths and markets include design excellence, a fast track supply chain and whole frame steelwork solutions for the property market. Our customer service gives the customer control of how much, or little support is required during the design, planning and construction of the build. If you have some DIY or build experience and wish to take on elements of the build yourself, then our flexible service allows for this - giving you the opportunity to make the most of your build budget. All design and build requirements can be agreed up front and support is available as required and requested by you, the customer. 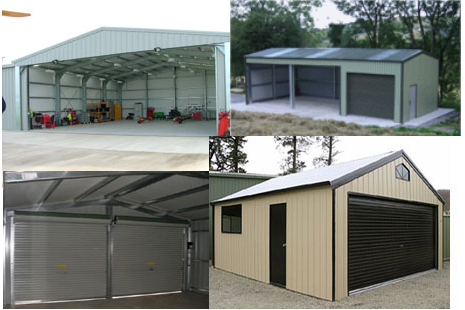 Most of our range of quality steel buildings features Galvanised Portal Frame System for durability, strength and simplicity in construction. 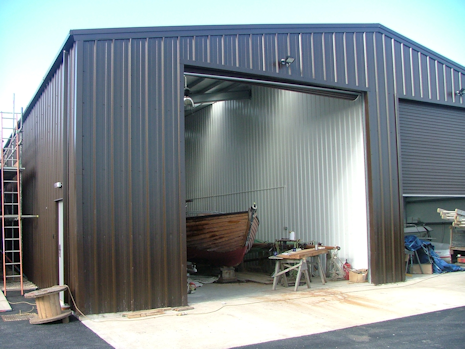 Pembs Steel Buildings offer a range of pre engineered building designs which are customisable. The bespoke designs details are sent as part of the order and materials are precut, as far is possible, to reduce wastage. This also assists in the build for easier erection once delivered to site. Contact us for project management, steel build constructions and bespoke designs. Our professional team of project management, build teams and consultants can help to get your build done effectively. We aim to please aiming to deliver on time, to budget whilst maintaining outstanding build quality. Additional small teams required for erection and cladding work across the UK.